Minor Rubber, a leading manufacturer of extruded rubber products, offers P-strips for industrial applications. P-strips are used for door gaskets, seals, and weather stripping in a wide range of industries. These food-grade door seals are commonly used in food, dairy, and pharmaceutical processing and laboratory applications. 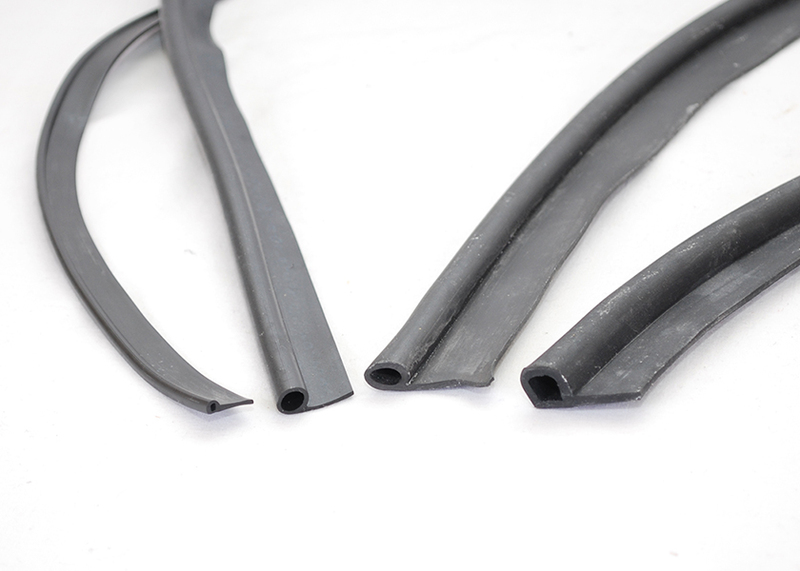 Minor Rubber provides extruded rubber P-strips to the OEM, replacement part, and industrial distribution markets. We maintain a large inventory of tooling for P-shaped gaskets, seals, and strips, and maintain an extensive inventory of popular P-strip sizes and shapes for quick delivery. Our p-strips are available in a wide range of materials and colors, including BUNA-N, Neoprene®, SBR, EPDM, and Silicone. Materials are offered in commercial and specification grades. Our experienced staff is knowledgeable about the industries we serve and their application requirements. We work closely with each customer to ensure that your extruded rubber P-strips meet your application requirements, part specifications, and quality standards, and are delivered to you on time and installation-ready. At Minor Rubber, we have earned a reputation for manufacturing high-quality rubber parts to our customers’ exact specifications. Our attention to detail and commitment to excellence for every project, coupled with our experience and knowledge of the industries we serve, ensure that your extruded rubber P-strips will meet or exceed your expectations. Call today to see how we can solve your manufacturing challenges.